FILM of the MONTH [September]: September wasn’t the best month for movies, and as I’m looking over the pictures that rated FILM of the WEEK, I can’t really decide. I’m giving it to… Grey Gardens. Fascinating and revealing documentary. I didn’t plan on this being any good. I should know by now that I’m a terrible judge of movies. If I think it shall be wondrous, it shall be dreadful. If I think it will be a monster, it will be a magnificent triumph of cinema. I don’t consider this a triumph of cinema, but it was awfully good. It stars Gregory Peck, a name I’ve always known, but couldn’t put a face to, as Henry Adams. He’s basically a stranded hobo in Victorian London–he was a yachtsman who somehow got lost in the fog and then a boat picked him up and forced him to work his way to London. I didn’t follow that plot point very well, so I ignored it. Henry becomes an integral part of a bet between two eccentric brothers. They have had a one million pound note created (one of only two ever made, in the movie, anyway) and have decided to give it to a smart hobo to see how he fares with it. So, Henry takes the money and his world changes tremendously. He is never forced to actually spend the money, just by letting people know he is a millionaire, he is able to get whatever he wants for free. He becomes respected just for his money. He acts no differently now that he is rich as he did when he was a hobo, but that doesn’t seem to matter–because he’s well dressed and has a whiff of cash about him, he can do no wrong. Henry is accepted into society, becomes engaged to a member of the aristocracy, and has a great time. Unfortunately, the money also has the potential to serve as his destruction. When it is reported that he is no longer a millionaire, people no longer trust him and want him to settle all his accounts. It’s funny–the richer he is, the easier life is for him. Very true in our modern society. I understand why couture houses give celebrities clothes to wear, but it does seem rather stupid, doesn’t it? The middle classes can’t afford beautiful Dior suits, but Zac Efron can get one for nothing, when he can more than afford it. I would never deny anybody the opportunity to see Zac in a suit, so I guess I really have no complaints. 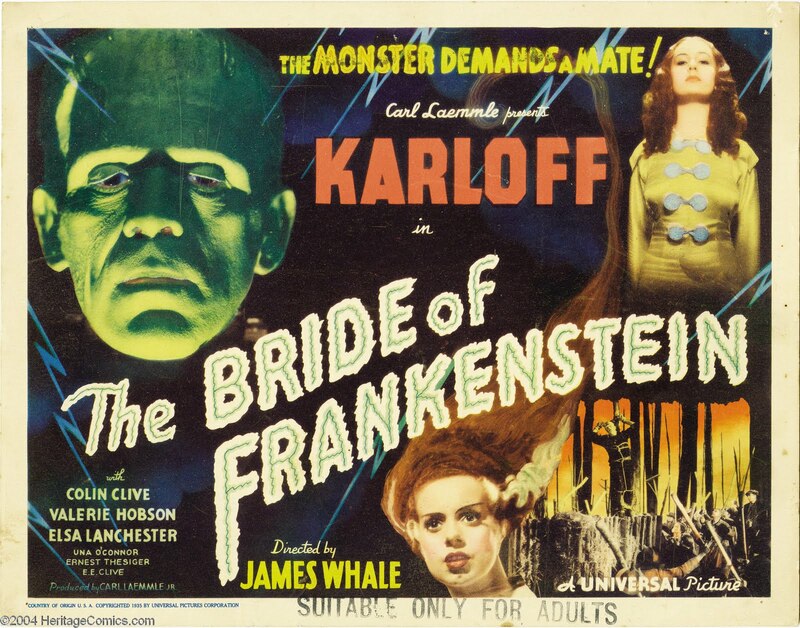 MOVIE of the WEEK: It’s a tie between The Bride of Frankenstein and The Orphan. Both were great.